Under the Oak Tree: Prairie update: soil is good to go! Prairie update: soil is good to go! 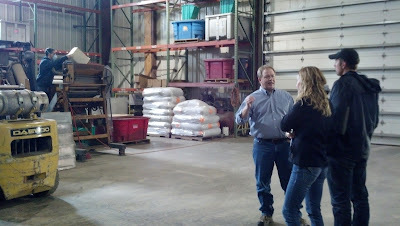 Field trip to Agrecol: Rob explaining the seed collection process to Rachel and Arik. 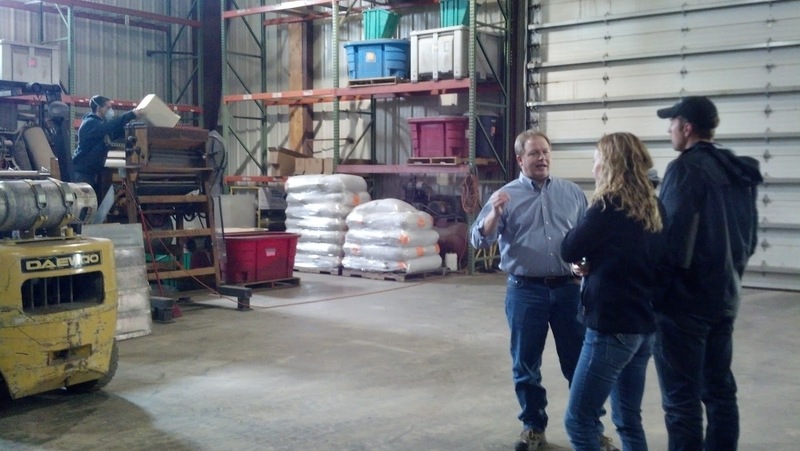 Last month we traveled over to Agrecol to meet with Bill and Rob, and talk more about implementing a prairie here on the Farm. We learned that our proposed site (an approx 5 acre field that has previously grown soybeans) is best suited to two species: cup plant and black-eyed susan. 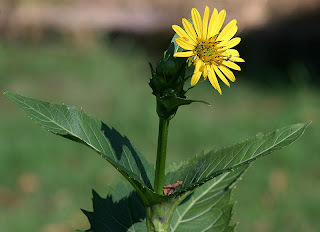 Cup plant is a perennial that produces a yellow, daisy-like flower. The plant's stem grows between 3-8' tall - so it's a bit like a sunflower but with a smaller head. We'll plant 12 rows of cup plant plugs (small seedlings that have been started in a greenhouse) along the west edge of the field manually, using some of Agrecol's machinery. Rob said that traditionally, women do a much better job of planting the plugs than men do; thus, Rachel and I already have bets waged with Arik! The plant will be harvested in late August or early September. Black-eyed susans will make up the rest of the field. They will be seeded mechanically very soon - if not at the end of this month then the first part of June! 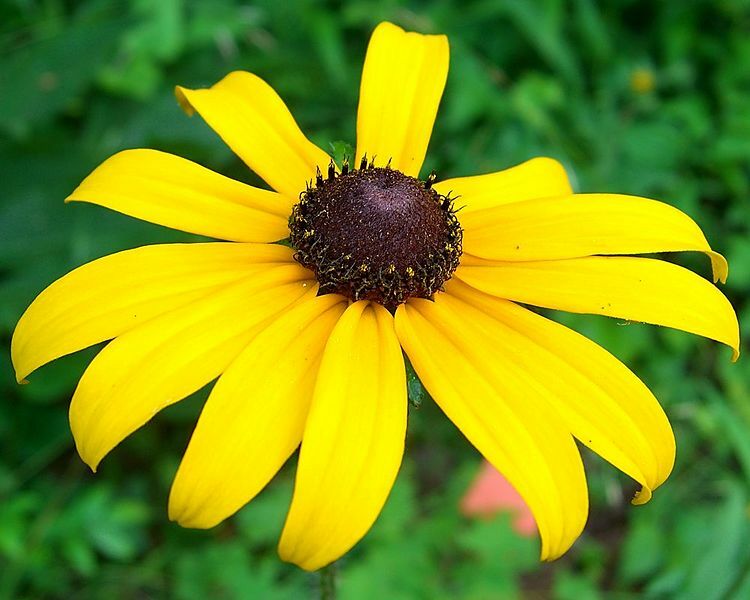 The black-eyed susans will be harvested in late fall, October or November. There was a bit of concern during the meeting as to residual pesticide chemicals still in the field from last year's soybean crop and their affect on these plantings. So we shuttled off some soil samples for testing and just heard back last week: test plants are growing so the soil is good -- our project is a go! We couldn't be more excited about our partnership with Agrecol and all the ways in which this prairie will enhance the biodiversity of the Farm! We will keep you posted on how the planting goes!